It looks like a Net Metering Agreement has been reached between Rocky Mountain Power and solar customers in Utah. The Public Service Commission approved this settlement in September. The new plan was reached as a compromise between Rocky Mountain Power’s proposed reduction in the rate paid to solar net metered customers and solar advocacy groups arguing that the benefits brought by solar should be fully valued. To sum up, existing solar users and customers who submit net metering applications before November 14, 2017 will be grandfathered into the current rate structure. Grandfathered systems will be compensated at full value for all solar energy exported to the grid through 2035. After 2035, those customers will drop to what ever the existing rate is at that time. To meet this window, and be grandfathered in, customers need to submit a Net Meter application before November. Any application submitted after November 14, 2017 will be compensated at 9.2 cents and will be grandfathered through 2032. In the three year transition time between 2017 and 2020, all the parties will wrestle to figure out the new rate going forward from 2020. The current thinking is that the structure will stay the same, but the value per kilowatt-hour may change. As it stands right now, net metering functions on a monthly basis and allows the customer to receive the full retail value for all solar energy generated. All energy sent to the grid and taken from the grid is measured on a monthly basis. This is about to change in November. In the new structure, all solar energy that is consumed by the home or commercial building at the time it is produced still receives full retail energy value. However, when surplus solar energy exported to the grid will be compensated at a slightly lower rate. Instead of a monthly tally, Rocky Mountain Power will be reading the energy meter every 15 minutes. At the end of every 15 minutes, the energy export will be credited at the new rate. For residential customers, this rate will be 9.2 cents. The credit, if it exceeds the energy charges, will still roll over to each subsequent month and will be zeroed in March as it is now. Meanwhile, there has been consideration of a reduction or elimination of the Utah state income tax credit. In coordination with this new rate structure, it is expected that from 2018 to 2020 the credit will be capped at $1600 as compared to the current $2,000 limit. After that, the credit will start declining $400 each year. In a nutshell, if you want to install solar you have a relatively short window (now through November 14) to take advantage of the current attractive net metering structure! Don’t miss the opportunity to get in on the current rate system. 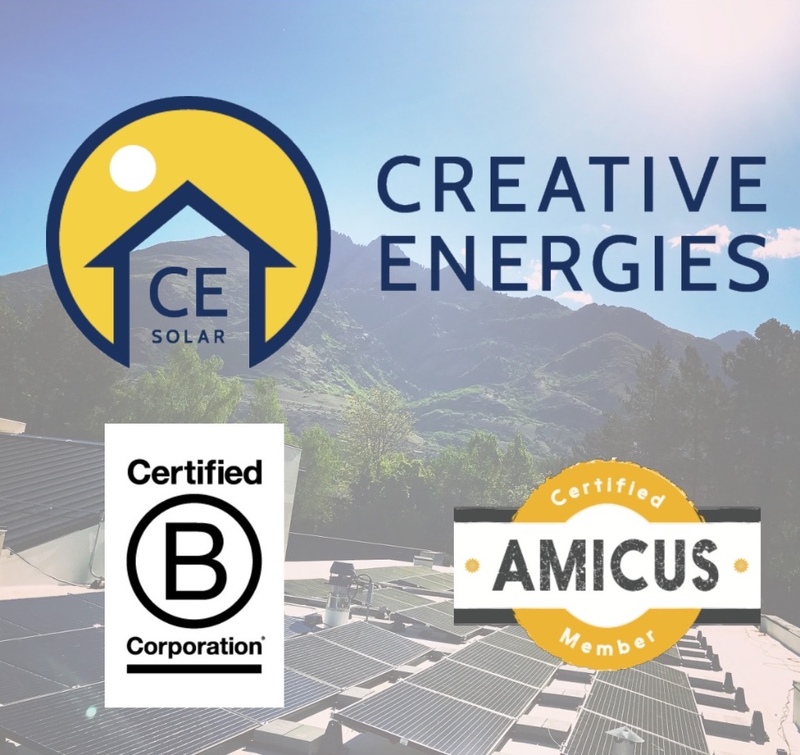 If you have any questions on the net metering system or any other solar related questions, contact Creative Energies. Make sure your friends and family are able to take advantage of the current net metering rates! If you refer them to Creative Energies and they install, you will receive a $400 check as a thank you from us. That’s right, we now have a referral program! If you prefer to donate your referral, CE will match the funds to install on a local non-profit. For more information on our referral program, visit our webpage.